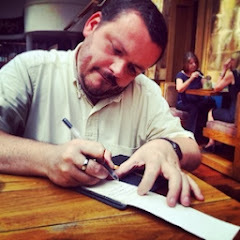 I have posted before of my love of RHODIA stationery - Paperchase only has three different pads in Glasgow... I feel so disadvantaged! 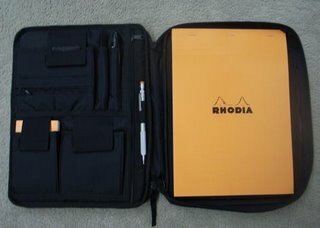 I mean in New York they can get the full range... and in Tokyo they can get their hands on a super-duper-sweet Headporter :: Black Beauty case designed by none other than Hiroshi Fujiwara to hold their RHODIA notebook in. I'm more of a Moleskine man myself, though that may be because the Rhodia notebooks are not available around here. 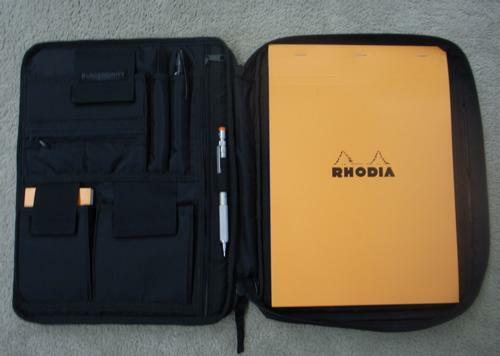 Ooh another Rhodia lover, I must check out the rest of your blog. I adore these pads, came across them in France where I fell in love with the grid paper and feel and make of them. I like the small B5 size, but there are so many different types, I'd go mad with them all!